The Toyota Avalon may be an undercover Lexus ES, but it has its own uniquely comfortable character. 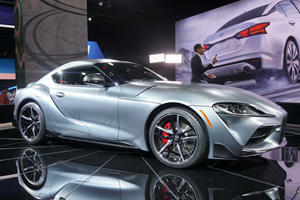 Power comes from a 3.5-liter, 268-hp V6 driving the front wheels only and mated to a 6-speed automatic as standard. The trim level to pick is the Limited, which packs all safety features as standard, along with tri-zone climate, and heated seats all round. Safety tech includes front collision avoidance with pedestrian detection and adaptive cruise control. 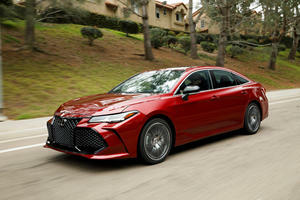 A Toyota flagship sedan that’s secretly an undercover Lexus – that’s what the Toyota Avalon is, slotting above the Camry and featuring more impressive styling than the Lexus ES. It’s surprisingly got more than just good looks on its side though, as an agile performer capable of running with large sedans	vastly exceeding its price. For the eco-friendly, or just economy conscious, the Avalon is yet another Toyota to get the hybrid treatment, but with a massive trunk even batteries can’t compromise its practicality. From the last generation of Avalon to this, Toyota has found their form in interior quality, with soft touch leather adorning most surfaces and with a simple, stylish, and practical design. The quality in here is no Camry – far exceeding anything else Toyota offers from a perceived quality and build standpoint. The Avalon is huge inside – one of the most spacious contenders in this segment, with huge head and legroom for front and rear occupants, and a big trunk boasting a 16 cubic foot cargo capacity. All 5 occupants will find space plentiful, and ingress/egress is made easy by wide door openings and a comfortable seat height. From the driver’s seat, visibility is largely excellent, and the standard heating and optional cooling on the driver’s seat makes long distance driving a breeze – literally. The Avalon is a big sedan, but lightweight steering makes it feel far nimbler than its size might suggest. The steering is also very direct, but its light weight means it’s not exactly an enthralling driver’s machine through the bends. It also doesn’t enjoy being driven at the limit, and dynamically it’s lacking compared to rivals like the Chevrolet Impala. But if you’re after comfort, you’ll find nothing better in this class – with suspension damped to perfection to be supple and absorbent without feeling floaty and disconnected. The ride is busier than it has been in previous incarnations, but that’s merely to ensure better contact with the road regardless of the quality of the surface. However, with only front wheel drive, the Avalon isn’t as comfortable in inclement weather as some rivals are that can be optioned with all wheel drive. Buyer’s eyeing the Avalon will have any easy decision to make when it comes to engine choice. 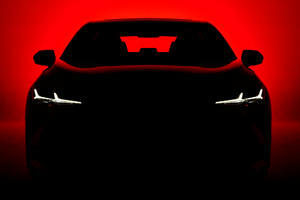 There's only one, a 3.5-liter V6 with 268 horsepower and 248 lb-ft. It’s mated to a 6-speed electronically controlled automatic gearbox andis front wheel drive only. 5 trim levels await, XLE, XLE Plus, XLE Premium, Touring, and Limited, with standard kit ranging from dual-zone climate and heated front seats in XLE trim to 3-zone climate, ventilated front, and heated rear seats in the Limited model. Higher spec models also get wireless device charging and two 12-volt power sources. With ‘Superior’ rated front crash prevention, the Avalon is an IIHS Top Safety Pick +, and scores 5 stars out of 5 in NHTSA testing. Toyota’s Safety Sense P includes pre-collision systems with pedestrian detection, lane departure alert, and adaptive cruise control. 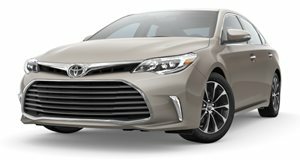 The Toyota Avalon isn’t an adept dynamic performer, but it is a spacious, luxurious family cruiser with superior safety and impressive style. Of all the rivals, this feels like the one with the best bang for its buck – particularly if comfort ranks high on your list of must have traits. The revolution is already underway. But what was wrong with the regular sunroof? Not just any Top Safety Pick, but Top Safety Pick+. The '+' matters.